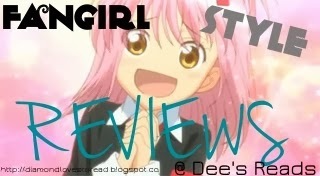 What is a Fangirl Style review? Basically it's me being short, not very eloquent, and perhaps screaming in font or using a lot of !!! :) :v :|| etc. non professional, FUN, crazy, weird reviews. So today I just need to fangirl over PERCY JACKSON. His royal Neptune-Ian hottinessssss. I wasn't über impressed with The Lost Hero. It was good, but for that reason I had Son of Neptune sitting on my shelf for many months..I just didn't really want to pick it up. I heard the series was amazing-- and I'm so glad I picked it up finally on a whim bc I missed me some Percy! I really think this book helped solidify the new storyline and introduced some amaze new characters as well. I can't wait (seriously, I can't!) to obtain the next book...I'm on a book hunt to find it / buy it/ borrow it ASAP. I just NEED to find out what happens. So amazing. I now totally agree that this series is as good as the Percy Jackson one. Now that I'm fully on board, I can't wait to finish this series. I think a lot of the reason why I loved this one so much was the fact that Percy Jackson was in it. It was so good to hear from him again-- and I loved the new characters, Hazel and Frank. I can't wait to seem here Riordan is going to take this amazing series. The world and mythology he's created is simply spectacular. As a lover of myth, I appreciate these books SO much..I can't even. Lol. Def recommend this series to everyone!! I'm terrible I haven't read any of his books! I even have a coworker (who I absolutely would never have expected) who is a huge fan. I should totally give them a try this year aye? YES. Yes, you should! I think you'd like them..I'm surprised you haven't read them yet?! :o hehe let me know if u decide to give it a go!